If you walk down the wine aisles of any liquor store, you will spot labels that originate from all continents and countries--from Africa to America to Argentina to Australia (and those are just the “A”s). However, there was a time when the vineyards of France dominated wine culture and sales. That mindset changed dramatically after the “Judgment of Paris ,” a blind taste test between the top wines of France and California’s Napa Valley that took place in 1976. 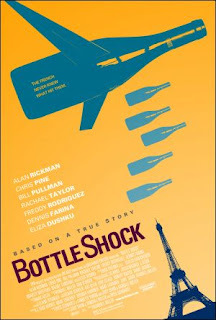 The story of how that competition came together and the shocking result is recounted in the 2008 indie Bottle Shock. Alan Rickman stars as Steven Spurrier, an English wine snob with a failing wine shop in Paris. Although his business is well-stocked with the best-reviewed bottles, Spurrier can’t seem to draw customers into his establishment. With the help of a neighboring store owner (Dennis Farina), he strikes upon the idea of using America’s bicentennial as an excuse for hosting a head-to-head contest between the best wines of France and the wines of the upstart California vineyards of Napa Valley. Of course, until he travels to the States, Spurrier never imagines that the American vintners have any possibility of winning. The film alternates between Spurrier’s fish-out-of-water excursion to California and the story of one of the California vintners, Jim Barrett (Bill Pullman) of the Chateau Montelena vineyard. Barrett is an ex-businessman trying to make a living at something he loves, while struggling with mounting bills and difficulty relating to his unfocused, hippie son Bo (Chris Pine). With so much screen time devoted to the family business at Chateau Montelena, there is little doubt where this underdog tale is headed. Bottle Shock is the kind of personal, feel-good indie that simply screams “unexceptional.” It’s not a bad film. It is competently written and directed, and it provides a pleasant diversion for 110 minutes. Unfortunately, the story holds few surprises (except for the brief, intriguing mystery of brown wine) and the presentation is straightforward and unimaginative. Still, there are worse ways to waste a couple of hours, and the film does contain some excellent acting, especially from the always-reliable Alan Rickman and from the greatly underrated Bill Pullman*. All in all, Bottle Shock is a cocktail that is easy to swallow but instantly forgettable. *If you don’t know how good Pullman can be, you need to rent Zero Effect (1998). Potent Quotables--SPURRIER: We have shattered the myth of the invincible French vine. And not just in California. We’ve opened the eyes of the world. MAURICE: And you know what I say? I say amen to that, brother. SPURRIER: You mark my words. 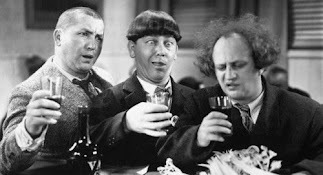 We’ll be drinking wines from… well, South America, Australia, New Zealand, Africa, India, China. This is not the end, Maurice. This is just the beginning. (Pouring wine) Welcome to the future. Similarly Sauced Cinema--For a better wine-centric flick, see Sideways (2004).